A standalone spin-off of the Paranormal Detectives Series, we discover the true horrors during Hitler's reign. In an emotional letter to his former lover and friend, Angelica Cross, Sean Wireman shares the story of his life. 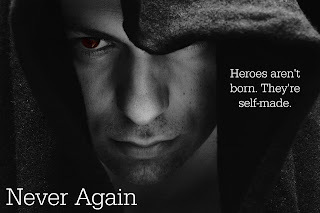 After his true nature as a siren was revealed in an unfortunate accident, Sean escaped from his home village in Israel and the family he knew since childhood to wander around the world until finally settling down in Chicago in the 1920's. As a siren, he didn't age like typical mortals and joined WWII to fight against the Nazis and their extermination of Jews. During his time as a soldier, he is captured and thrown into a concentration camp where he discovers the Nazis have unleashed monsters upon the Jews. After escaping from the concentration camp, his commission as a soldier ends and he returns to Chicago to become a brilliant lawyer who is well-known for his ability to get his clients off the hook. When a modern-day Nazi wants to retain his services, he leaves the law firm and decides to become a rock star; which is how he meets Angelica Cross. Seventy years later, a rash of gruesome murders bring back past memories of the concentration camps. It appears that the monsters he encountered during WWII are back and still hunting down Jews and sirens. Can Sean put an end to these monsters once and for all, or will these monsters succeed in killing the Jews and any remaining sirens in the world? 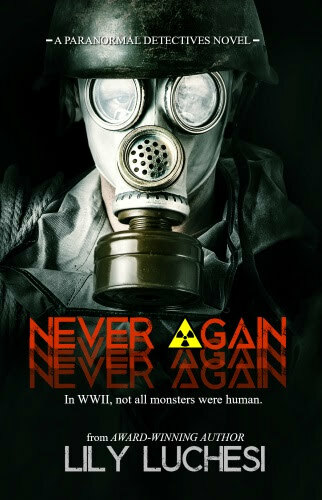 Never Again is a shining example of how spin-offs should be done! For those of us who have followed the series, we're presented with an opportunity to learn more about Sean Wireman, a siren who played a significant role in Angelica Cross' life. 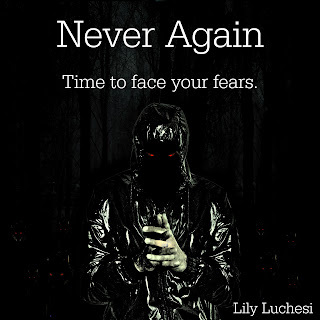 If you haven't followed the series, this is a wonderful opportunity to get a feel for Luchesi's writing style. I try to avoid spin-offs because the plots are liberally sprinkled with appearances by favorite characters who seem to appear out of context, or the context is forced. However, in the case of Never Again, I found that Sean is a very charming and likable character, with a captivating and rich story that stands on it's own without the need for gimmicks or guest appearances by popular characters from the series to lend it credibility. The plot maintains the continuity of the "Paranormal Detectives Series" and, for those of us who have read the entire series, it provides us with a new perspective on some of the events that took place in the series. Sean's story is exhilarating, heart-wrenching, emotional, and terrifying at times. He has survived a lot, and he has the scars to prove it. The narrative surrounding his triggers and flashbacks is nothing short of brilliant! They are explained in such a way that people who do not suffer from mental illness can understand and relate to. Since Sean is such a likable character, his story is a great means to raise awareness without cramming it down people's throats. On a lighter note, I particularly liked how Luchesi tied Sean's escape with Israel to a legend about an encounter with a siren. I thought I recognized it as part of a legend I had learned about in school and my suspicions were confirmed later on in the story. 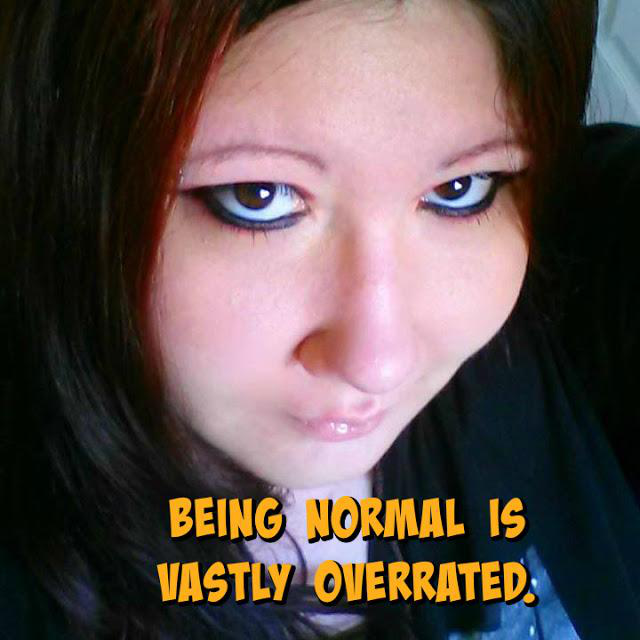 If you have followed the "Paranormal Detectives Series," you'll enjoy Sean's perspective and learn a little more about Angelica. 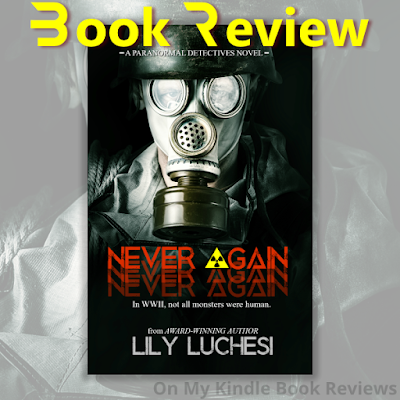 If you haven't had the chance to read the books in the series, Never Again is a great introduction to Luchesi's writing style. I loved Sean's story, and I think you will too! On a more personal note... I generally read through the acknowledgments to see if there are any names that I recognize, or if the author has included more back cover blurbs from other reviewers. I was surprised, moved, and extremely flattered to find my name (not the blog's name, mine) in the acknowledgments. I've been going through a rough patch lately and I wonder if what I do makes a difference to anyone, or if I'm really as invisible as I feel sometimes. It's nice to know that who I am and what I do does make a difference. Thank you, Lily! 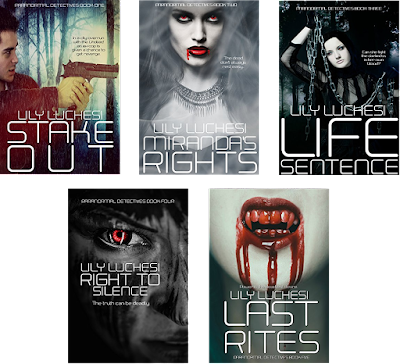 Lily Luchesi is the award-winning author of the bestselling Paranormal Detectives Series, published by Vamptasy Publishing. She also has short stories included in multiple bestselling anthologies, and a successful dark erotica retelling of Dracula. She was born in Chicago, Illinois, and now resides in Los Angeles, California. Ever since she was a toddler her mother noticed her tendency for being interested in all things "dark". At two she became infatuated with vampires and ghosts, and that infatuation turned into a lifestyle. She is also an out member of the LGBT+ community. When she's not writing, she's going to rock concerts, getting tattooed, watching the CW, or reading manga. And drinking copious amounts of coffee. Find the Paranormal Detectives Series!